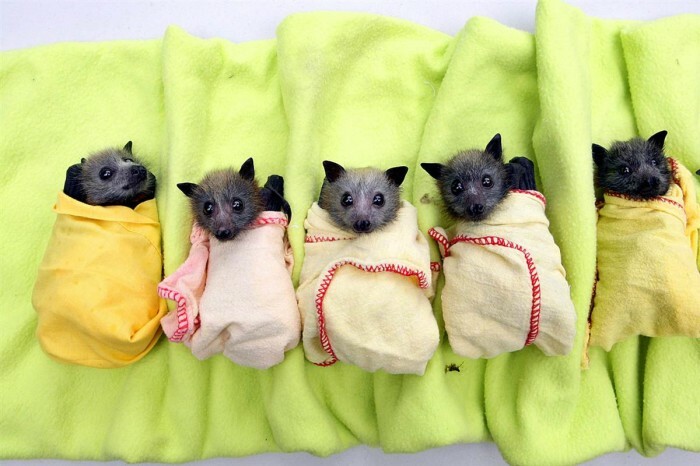 baby fruit bats are so cute! ohhhhhh gawd…Megabats. Those things are gonna grow up to have housecat-sized bodies with black, leathery wings spanning 4-5 feet.